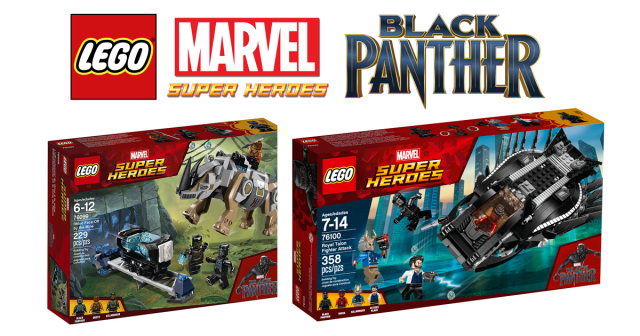 The first two sets to be released for the upcoming Marvel blockbuster, Black Panther are available for pre-order at both Amazon and Walmart. Rhino Face-Off by the Mine (76099) is is priced at $19.99 and the Royal Talon Fighter Attach (76100) is priced at $29.99. Both sets are due to be released on the first week of January 2018.